Introduction: Paras Dews Apartments, aims to enrich lives by setting new standards for customer centricity, architectural design, quality, and safety. 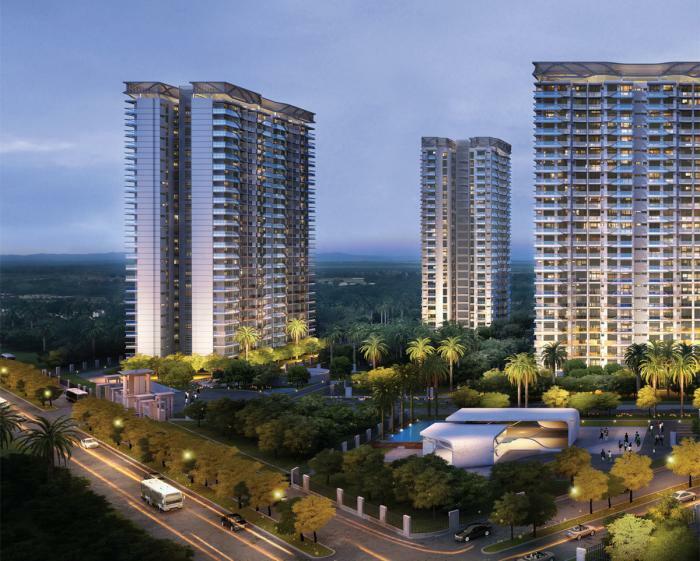 These Residential Apartments in Gurgaon comes with a view that is unbounded and captivating. Every nook and corner of the Paras Dews reflects beauty in its true sense. Paras Dews by Paras Buildtech India Pvt. Ltd. in Sector 106 ensures privacy and exclusivity to its residents. The ambiance of Paras Dews is truly a marvelous sight to behold. Paras Dews is one of the best investments in Residential properties in Gurgaon. The Apartments in Paras Dews are strategically constructed keeping in mind the best of architecture both from inside as well as outside. From stylish flooring to spacious balconies, standard kitchen size and high-quality fixtures, every little detail here gives it an magnetic look. Paras Dews offers beautiful 2 BHK, 3 BHK and 4 BHK Apartments in Gurgaon. The price of Apartments in Sector 106 is ideal for the home-buyers looking for a property in Gurgaon. Amenities: Paras Dews comprises of a wide array of amenities that include Landscaped Garden, Indoor Games, Swimming Pool, Gymnasium, Play Area, Lift, Club House, Health Facilities, Badminton Court, Cafeteria, Gated community, 24Hr Backup Electricity, Drainage and Sewage Treatment, Multi-purpose Hall and Street Light. Location Advantage: The address of Paras Dews is well suited for the ones who wants to enjoy a contemporary lifestyle with all the nearby major utilities like schools, colleges, hospitals,supermarts, parks and recreational centers. Backed by a decade?s worth of experience and an abundance of expertise, Paras Buildtech has pioneered the conceptualisation and execution of upscale real estate projects in the retail, commercial and residential space. Adding to the array of services offered, it also sees the project through each stage right from site acquisition, designing and development to construction, marketing and sales. Today, Paras Buildtech is known to be one of the leading names in Indian real estate development and has done so by assuring its clients and business partners a sense of utmost quality and reliability. Review of Paras Dews, Sector 106? Its price, location, builder etc. Review of Paras Buildtech India Pvt Ltd, Sector 106? construction quality, trustworthy, delivery history etc.? Review of Paras Dews, Sector 106 location? neighbourhood, connectivity, schools etc.? Comparison of Paras Dews, Sector 106 to nearby projects? Is it rightly priced? What is your feedback on this Paras Dews, Sector 106? Depends on brand name and complete the project in time etc? Will this be a better option for investment or to live in Paras Dews, Sector 106? Can you give some suggestion? Is the Paras Dews, Sector 106 has more potential in terms of capital appreciation, ROI, Rentals, Proximity to social infrastructure etc?